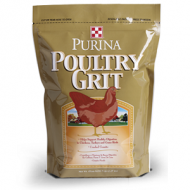 High-quality, natural colored (gray) 100% reclaimed paper features simple, classic farm imagery.Includes the required FDA Safe Handling Instructions and Keep Refrigerated Warnings. 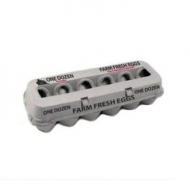 No grade or size specified on carton, so carton can be used for a variety of egg sizes.Comes in a pack of 250 cartons. 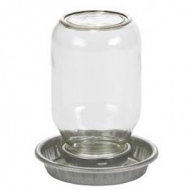 This gravity chick waterer comes fully assembled and features a glass mason jar. Easy to fill and clean, it holds 1 quart of water. The base is made of heavy-duty galvanized steel with rounded, embossed edges to help reduce chafing on a chick's neck and head. 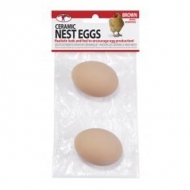 Simply place these ceramic eggs in a nesting box to encourage hens to lay eggs. They look and feel like the real thing - same color, size and weight! 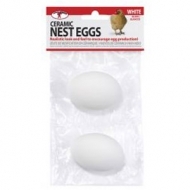 They also help discourage chickens from pecking or eating eggs. 2 per package. Super concentrated with 10,000 mcg. 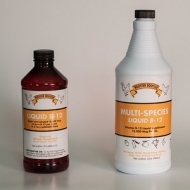 of pure B-12 per ounce, Rooster Booster Liquid B-12 is a premium vitamin supplement for all classes of poultry. Available in 16 oz bottle. 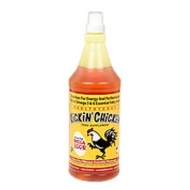 Kickin’ Chicken is formulated specially for your flock! 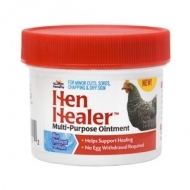 Working to brighten plumage, ease molting stress, increase egg production and improve overall health. 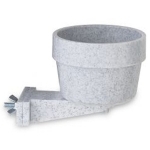 Molded from long-life plastic with durable fountain. 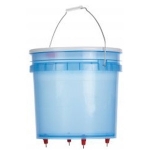 Easy-to-fill and easy-to-clean drinker features a twist-lock system and hanger/carry-handle. 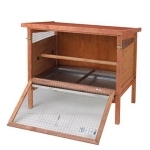 Accommodates up to 56 chickens or game birds. 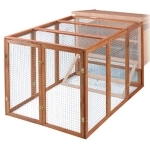 Securely attaches to hutch to expand pets' living space and provide a free-range type environment in a safely enclosed area. Better than metal nests, and costs less! 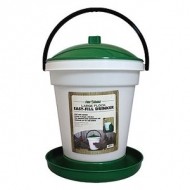 The Little Giant Single Open Nesting Box is made of high-density, impact-resistant polyethylene that will not rust, rot, or corrode. The plastic surface is easy to keep clean and does not get as cold as metal and wood. 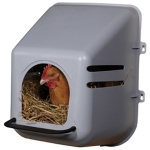 Hen-friendly design features an open back and top to allow better ventilation and easier access to eggs in some coops. Never carry water to your birds again! Great new design includes a 0.75 inch hose that attaches to a standard garden hose for a continuous flow of fresh water for your flock. Automatic float controls the water level so there is no spilling or overflow. Keep your hutch clean and dry with a bowl that is off the ground and can't tip over. It's the perfect solution to spilled food or water. 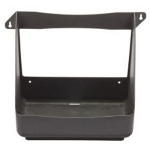 The Quick-Lock Cage Crock features a snap-in bracket that will fit any wire hutch. Easily attaches to either horizontal or vertical wire with no tools required. Reduces cannibalism in poultry. It comes in a convenient 4oz squeeze bottle with applicator tip. 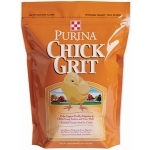 A proven peck control product group for many years. 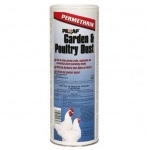 For use on poultry, dogs and cats, vegetables and plants. Ready-to-use dust in an easy-to-use powder duster. 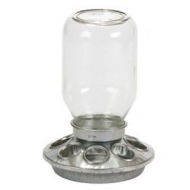 Used on home garden, fruits, vegetables, and ornamental plants (including roses). 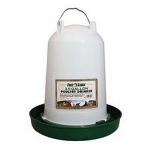 Type B medicated feed poultry dewormer. Use as an aid in the control of infections of intestinal parasites such as large roundworms, cecal worms, and capillary worms. 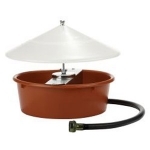 Ideal for small flocks and backyard birds. 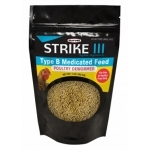 Includes scoop for easy dosing and mixing in feed. No withholding required for eggs. Made in the USA. 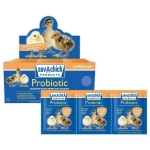 Designed for keepers of small flocks, each packet of Sav-A-Chick® Probiotic Supplement conveniently mixes into 1 gallon of drinking water. Comes in a 3-pack strip of 0.17oz packets. The single-use packets are pre-measured to ensure accurate feeding, as well as product freshness.